Buffalo County Fairgrounds – B-D Construction, Inc. Built in 2010, the Buffalo County Exposition Center offers diversity to larger events. The LandMark Implement Arena is a 300’ X 175’ (52,500 square feet) concrete arena with bleachers. It will seat 2,746 in fixed seating and additional seating can be provided in portable bleachers and chairs to accommodate over 5500 people. The East Arena is 180’ x 110’ (28,600 square feet). This building contains concessions, a meeting and office space. The building has heating and air conditioning, a full kitchen, large overhead doors, ticket booths and inside and outside wash bays. The sound system in this building is custom built to fulfill the needs of the many events that use the facilities. 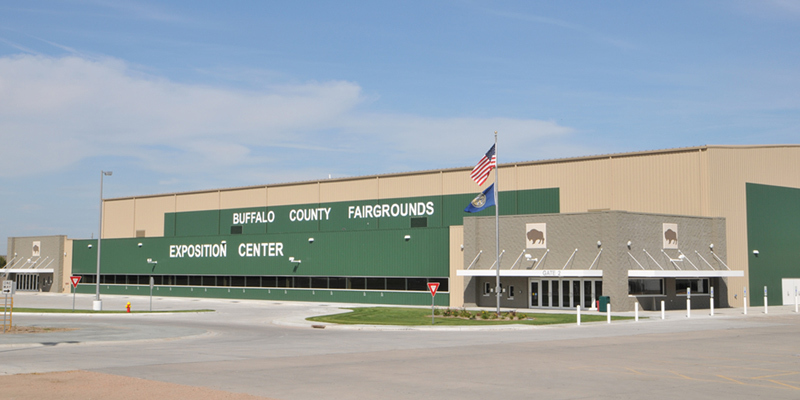 The Buffalo County Ag Pavilion features 180’ X 260’ (46,800 square feet). The facility has heating, a sound system, kitchen and office. 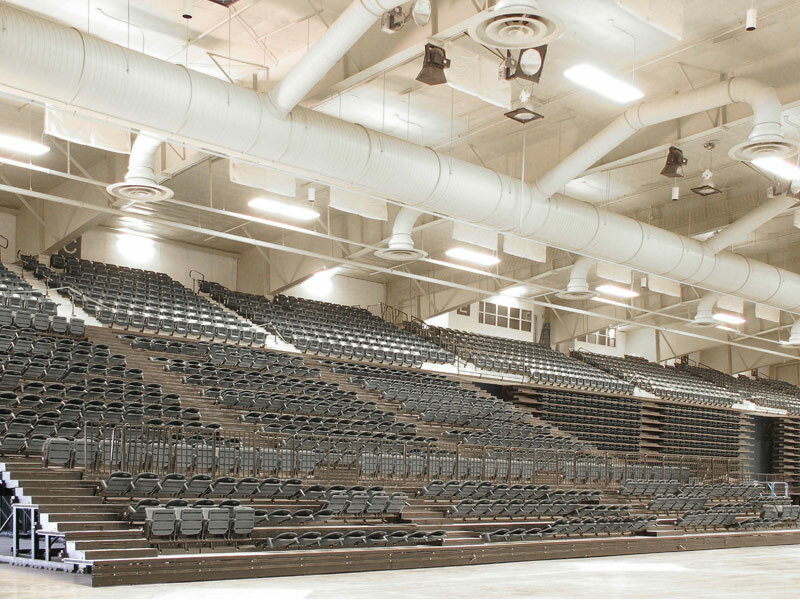 The Pavilion Arena is 118′ x 58′ and has permanent seating for 330, air conditioning and a sound system. This arena can be used for trade shows, livestock shows and banquets for up to 500 people. The Ag Pavilion also has a dirt arena that is 70’ x 135’ which is ideal for livestock, stalling, shows and sales.